Double ended Wrench released by Powerdyne for the Revenge and Reactor Kingpins, as well as the Reactor Adjustment Truck Nut. 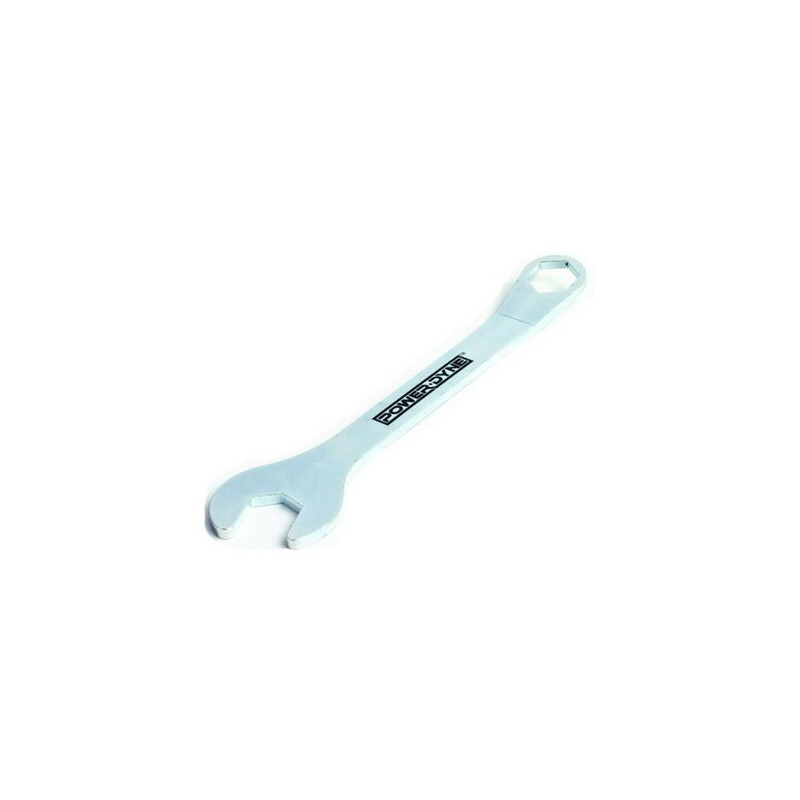 This wrench also works on the Labeda ProLine plate and a few others with the Reactor/ProLine Design. Open end adjusts the kingpin that screws into the plate, closed end adjusts the Reactor (and similar) truck/action adjustment nut.